Nokia's big-scaled cost-cutting plan has claimed another scalp, this time in the form of a new mobile operating system. We saw earlier this week that Nokia is set to cut 10,000 jobs by the end of 2013 and consolidate its operations, making the firm more efficient and returning it to profitability. Back in March we reported that Nokia was developing the Linux-based Meltemi OS, with the aim of putting it on its budget feature-phones. However AllThingsD has heard from its sources that Meltemi has now been ditched by the Finnish manufacturer – with Nokia set to focus on its Series 30 and Series 40 platforms which already run on its feature-phone offerings. The sources go on to note that even though Meltemi may have finished, aspects of the OS may be incorporated into future software offerings. This isn't the first time we've seen Nokia let a platform go, with both MeeGo and Symbian being cast off by the Scandinavians. 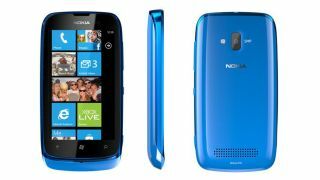 Nokia is still committed to the budget market, with the super cheap Nokia Lumia 610 smartphone and its new range of Asha handsets.